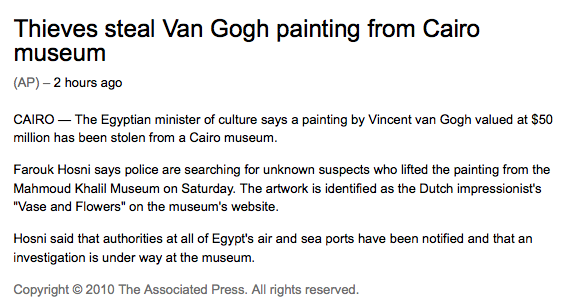 Danica Lo / Personal: Has anyone else witnessed how museums are run in Cairo? This is hardly a shocker. Has anyone else witnessed how museums are run in Cairo? This is hardly a shocker.